CONTROL FOR 3 WEAPONS. Manual or automatic rearmament. Selection of two programmes for the sabre (with or without whip-over). Selection of a programme useful for epée teaching, which signals the hits in rapid succession. A special control prevents the annoying continuous noise that occurs in sabre and foil when the fencers are not connected. The FULL-ARM-05 programme can be easily updated by replacing a single electronic component. SCORER: height of the digits 7cm, legible up to a distance of 25-30m. Count up to 99. Increase, decrease, and zero out. CHRONOMETER: height of the digits 5.2cm, legible up to a distance of 15-20m away. Start/Stop, 1 minute pause, Load start time. The colour of the two lighted dots between the minutes and seconds clearly and immediately indicates the chronometer status. GREEN = counting; RED = stopped. Counting the MATCHES. Signaling for fencer PRIORITY, with manual and random selection. Signaling for PENALTY CARDS. The red card automatically increases the opponent’s point score. Membrane keyboard: sturdy and reliable (5 million contacts per key). Sound volume adjustable to three levels. The various events are indicated by different sound signals: hit, end of time, abnormalities. The apparatus uses two DATA-LINE sockets to connect two panel repeatersPANEL-02 (Art.835) or LIGHTS REPEATERS (Art.894). 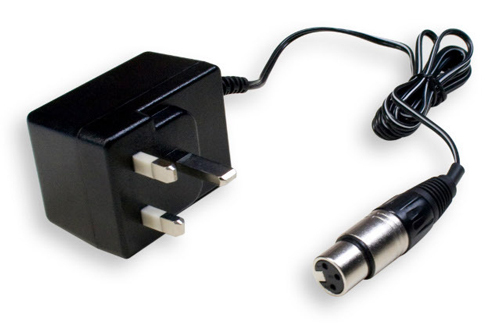 The Data-Line sockets can be easily increased to four by using an inexpensive accessory connector (Art.880). For greater safety, the Data-Line sockets are insulated electrically through the use of optocouplers. The cables connecting to the repeaters, ordinarily provided with the latter, are regular telephone cables that can be easily extended to 100m, if necessary. 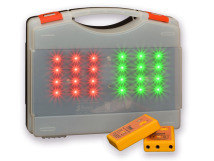 ALL the visual displays on the FULL-ARM-05, including the lights signalling hits (one red, one green, and two white lights) consist of high-efficiency LED’s (average life: 100,000 hours). Therefore, the problems associated with short life and replacement of normal filament lamps are eliminated. Power supply: 12Vac or 12Vdc. THE ELECTRICAL POWER USED IS MINIMAL, thanks to exclusive use of high-efficiency LED’s. The maximum total power used, with two coloured lights switched on, is only 4 watts. 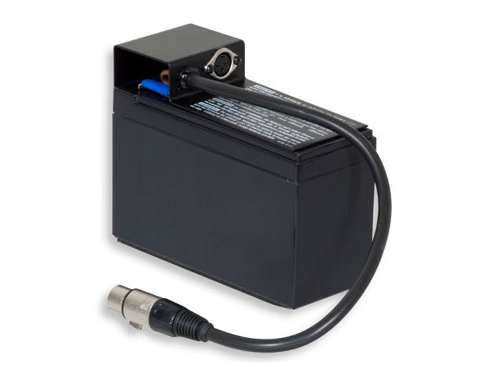 The Full-Arm-05 can also be supplied by a small rechargeable lead-acid battery 12V, 6-7Ah. In this case, it lasts for about 30 hours before requiring recharging. We can supply both the battery (Art.828) and the battery charger (Art.829A,Art.829B). The case, made of shock-proof plastic (the front part is in polycarbonate), is resistant even to violent accidental blows with the weapons. Dimensions: width 56cm, height 23.5cm, depth 8.5cm. REMOTE CONTROL (Art. 840) – Provided with the FULL-ARM-05. It controls the chronometer, the scorer, the rearmament, the matches, the penalty cards and the priority. Maximum range: greater than 20m if positioned directly in front of the FULL-ARM-05. Innovative transmission system: every remote control has a unique inalterable and inaccessible transmission code. By simply pressing the appropriate key, every FULL-ARM-05 can be programmed to recognise any remote control, but only one remote at a time. there is no limit to the number of apparatus that can be connected in the same fencing arena. Correct functioning of the remote control is shown by a red light, while correct reception is indicated by a yellow light on the FULL-ARM-05. The remote control operates by using infrared rays. The advantage of infra-red ray transmission is that it is not affected by external factors, as it can occur with the transmission via radio, whose operations may easily be disturbed by transmitters operating on the same frequency, even when located a great distance away. Remote control power supply: the remote control is supplied by a 9-volt alkaline battery. It transmits approximately 150,000 commands. Sturdy aluminium casing in a compact size: 11 x 4.8 x 1.2cm. Weight: 170g. The FULL-ARM-05 comes complete only with the remote control. Art.852 BOX-04 carrying case. The carrying case may also house the battery (Art.828), the battery charger (Art.829) and the 1m high table-top stand (Art.873). Art.873 1m high table-top stand. Art.856 Power cord with clamps for connection to a car battery. Art.832 FULL-ARM-05/REPEATER. It allows the duplication at distance of all the information provided by the FULL-ARM-05. Art.880 Doubler for the Data-Line output signal. Power supply option can be chosen below. 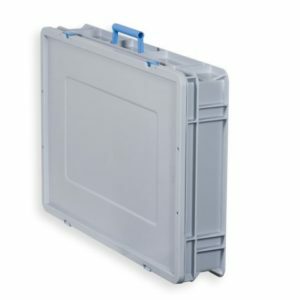 Carrying cases are available below. All other accessories like repeaters please email sales@thefencingshop.co.uk. Please note prices on the Favero website are before 21% VAT, we can always offer a better price than going direct to Favero. All Favero items are shipped directly from the manufactures so you are assured of the most up to date settings. Delivery takes approximately 3 weeks from receipt of payment. Delivery charge for most Favero orders is approximately £45 direct from Italy.